Joji Wada is the founder and the president of WIT studio, a subsidiary production and development studio established under IG Port (The parent company of Production I.G.). He was originally a Production I.G. 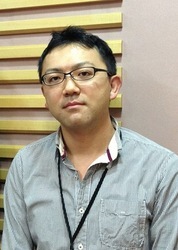 producer and has produced many popular titles like Sengoku Basara: Samurai Kings, Kimi Ni Todoke, Guilty Crown, Robotics;Notes and this year hit series PSYCHO-PASS.